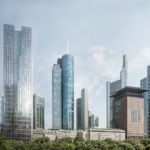 The Austrian project developer CA Immo today laid the foundation stone for the ONE skyscraper project near the MesseTurm. Together with representatives of the City of Frankfurt, the hotel lessee NH Hotel Group, the architects Meurer Generalplaner and the shell manufacturer Hochtief Building, the foundation stone was laid for the office and hotel tower ONE. The 190-meter-high skyscraper is being built on the interface between the banking district and the trade fair. ONE is expected to be finished by the end of 2021. CA Immo’s investment is around EUR 330 million. Even before construction began, CA Immo had signed a contract with the NH Hotel Group for a hotel of the lifestyle brand nhow which is currently not present in the city. The future four-star superior hotel occupies the lower 14 floors of the ONE and will have 375 rooms. The highlight for both hotel guests and office users is the Skybar on the top floor, also operated by the nhow. The publicly accessible bar is unique in Frankfurt and offers a 360 degree panoramic view of Frankfurt and the Taunus. In addition, the hotel offers a 1,000 m² convention center, as well as restaurant, bar, café and fitness areas, which are also available to the office tenants. Through the interlocking of different private and public uses, as well as through the lobby shared by hotel and office, the urbanity and the life of the city is drawn into the building and continued. The usage concept responds to the increasing demands of office tenants. This applies in particular to the flexibility of leased space but also to rental agreements and the ever increasing demand for informal meeting and communication locations and services. The concept for the ONE also provides for the provision of a co-working area, which can also be used by the tenants of the building. 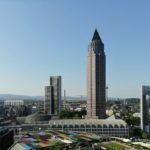 Designed by the Frankfurt architect Meurer Generalplaner, ONE has 49 storeys and a gross floor area of ​​around 85,000 m² (gross floor area). 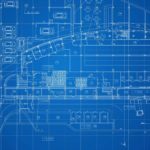 The construction management for the ONE lies with the CA Immo subsidiary omniCon, which in this function is responsible for the entire project management as well as the allocation and management of all trades. For the shell construction, the Hochtief Building was contracted with its Frankfurt branch. At the beginning of 2018, ONE was the first high-rise in Germany to receive a WiredScore certification in Platinum. Thus, the ONE is certified to the highest standards in terms of connectivity, digital infrastructure and future security. WiredScore is a PropTech company and certifies digital infrastructure for commercial real estate. In terms of sustainability, the project developer is planning a DGNB building certification at least in gold standard for ONE. The asset manager HANSAINVEST Real Assets GmbH from Hamburg has now acquired a 50% stake in the Global Tower project development of the GEG German Estate Group AG. Upon completion of the project in late summer 2020, she will acquire the building in full for one of her special funds. The entire project development, rental and construction work continues to be the responsibility of the GEG. 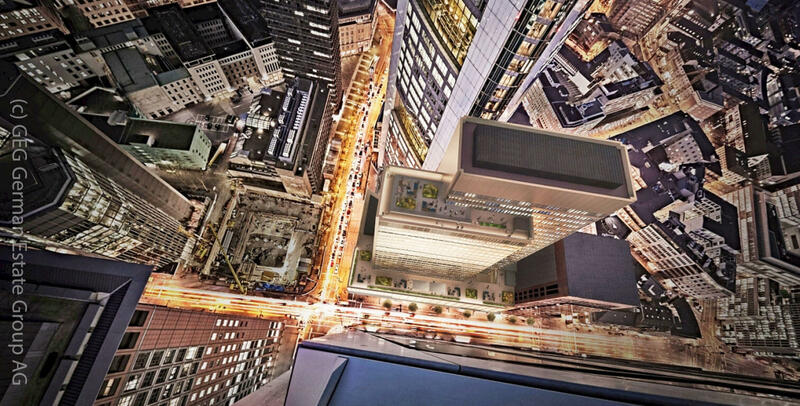 The Global Tower will have 33,000 sqm of rental space spread over 30 upper floors. The total investment volume is around EUR 340 million. Only a few days ago, the GEG had announced the first large-scale letting immediately after construction began on Europe’s leading co-working provider Spaces (Regus Group). The seller was advised by Noerr LLP and the buyer of GSK Stockmann by lawyer. 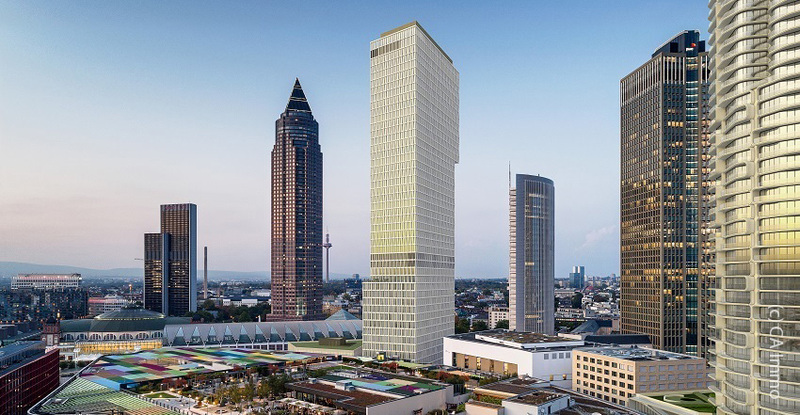 GEG German Estate Group AG, Frankfurt, began construction work on its Global Tower project, the former Commerzbank high-rise, on Neue Mainzer Strasse 32-36 in Frankfurt in mid-2018. The conversion will create state-of-the-art office space here. In the further course of construction, the building classic is initially gutted inside. At the turn of the year 2018/19, the facade will be successively dismantled and the shell work started. By 2020, the building should be completed. The total investment volume will be around EUR 340 million.